Paradigm Loudspeakers is a Canadian company well known for….well, for loudspeakers but not even the biggest audio manufacturers can avoid the myriad temptations of today’s computer audio market. So Paradigm has introduced the new Shift (paradigm shift geddit?) range of products, which covers earphones, powered desktop speakers and gaming headsets, with high-end headphones on their way in the near future. 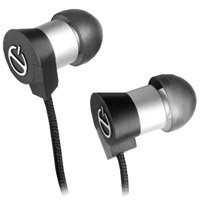 The first Shift products to make their way onto Witchdoctor are the entry level E1 and range topping E3m earphones. 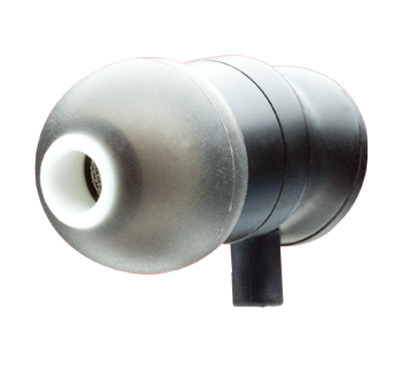 Both sets of ‘phones are in-ear types with small, lightweight capsules and rubber eartips. They both have a fabric covered cable, which is somewhat microphonic, with any contact of the cable on clothing of skin being transmitted to the ears. That said, the effect is minor and is only really obvious when listening to music at low levels. The fabric covering does tend to get the cables tangled more easily than a plastic cable but this isn’t a major issue. The Shift ‘phones are designed to be worn with the cable over the ears for active sports based listening or hanging straight down for more casual use. The E3m’s capsule shape is heavily flared toward the outside and has some strangely shaped edges and points, which occasionally prodded my ears in a minor but annoying way. This was most obvious when listening while lying down with my head on a pillow and the effect is worse with the cables worn in the downwards orientation. A small adjustment to the fit solved the problem every time but this is something to be aware of – if I owned a set, I might round off the one particularly pokey corner where the cable enters the capsule with a nail file but then again, I shouldn’t have to. This whole issue may be unique to me though because it doesn’t seem to come up on other reviews, so your mileage may vary. The Shifts are shipped with carry cases (a soft bag for the E1 and a semi-hard sided case for the E3m) and three sizes of eartips; getting a good seal on both units proved easy enough for me with the medium tips and the ‘phones tend to stay in place without too much insertion pressure. Passive noise canceling is typical for this type of ‘phone i.e. 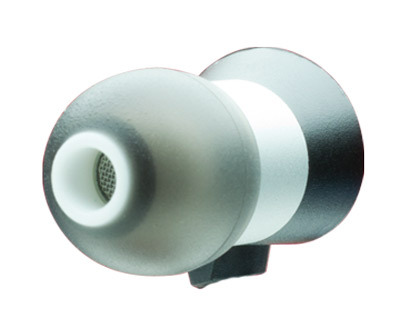 not in the league of units designed to be placed further into the ear canal or those that use soft foam tips but many users can’t tolerate that type of earphone, so the Shifts strike a decent balance in this regard. The E3m ‘phones have an iPhone microphone and call control button but to my dismay, it doesn’t function as remote control. Once you get used to controlling track flow and volume from an on-cable remote, you can’t easily go back. I asked the local agents about this missing functionality and received the kind of speedy and intelligent feedback that one usually gets when dealing with real audio enthusiasts. According to Paradigm, there are known issues with volume controls that can effect audio quality and the engineers weren’t happy with the current solution, which only works with certain smart phones, so they decided to launch as is until they can implement something that will work across multiple platforms without any audio related issues. I seriously applaud that stance but it is a major pain in the proverbial to do without the remote. I’ve got no way to gauge how much difference of an audible difference the remote would make but perhaps the E3m’s sonic abilities are there in part because of the AWOL remote. The E1 ‘phones don’t have an in-line remote, so no discussion is needed there; if you don’t use a compatible Apple device, then the point is also moot. Starting with the E3m model, my first reaction was that there wasn’t a whole lot of thrill-factor pouring into my ears. No shimmering bright treble, no boosted mids and no earth shattering bass notes. It didn’t take me long to figure out that this has to be exactly what the Paradigm engineers were aiming for – you don’t need flash and bang when you can have some degree of balance instead. The more you listen to the E3m ‘phones, the more you seem to hear. There’s a very decent amount of detail and resolution available throughout the frequency range, which translates into a sense of control and precision and of course enjoyment and involvement. Bass notes for example convey subtlety and nuance (when there’s subtlety and nuance in the recording in the first place) but also carry a serious amount of physicality and power. The mighty low notes of ‘Feel Me (Intro)’ from Big Boi’s Sir Lucious Left Foot: The Son of Chico Dusty showed just how much low end weight the E3m’s were capable of carrying but despite Paradigm’s marketing department branding these ‘phones as having “HD Intense Bass”, the bottom end is full and rich rather than suffering from “Cheap Walkman Bass Boost”. You’ll always be aware of the bass presence but big and mostly tight bass is the order of the day here, after all, the E3m model is claimed to be voiced to match the sound of Paradigm’s high-end Signature speakers, so it follows that too much throbbing bass would be well out of place. I wouldn’t call these ‘phones neutral but few in-ear ‘phones are and as I’ve stated before, I’d rather have slightly too much bass in this specific environment than too little. Call the E3m’s warm and you’re right on the money. The midrange is open and clear as is the treble but without being bright enough to cause fatigue or to grate on bad recordings – again contributing to the overall warm sound of the ‘phones. This suits most genres of music as does the fact that the E3m’s do a very good job of maintaining their impressive dynamics at lower volume levels, which makes them ideal for mellow listening sessions when you’re just enjoying the music as opposed to rocking out or trying to cut off the outside world. The sound of the E3m’s were definitely taken up a notch when they were plugged into a headphone amplifier, even when the source was still the analogue output of an iPod. This is likely to be irrelevant to the vast majority of users but it is a good sign because it shows that there’s resolution and depth of ability that goes beyond simple portable listening. The E1 model sounds much like the E3m – same warm and bass biased sound but with a slight decrease in bass weight (but not really in impact and speed – they do this very well indeed considering the price) and less detail, space and overall air. The E1s still offer the same musicality though, and I suspect that many users will be hard pressed to justify the big price jump between the two – it is however definitely worth it if you care to listen deeply enough. 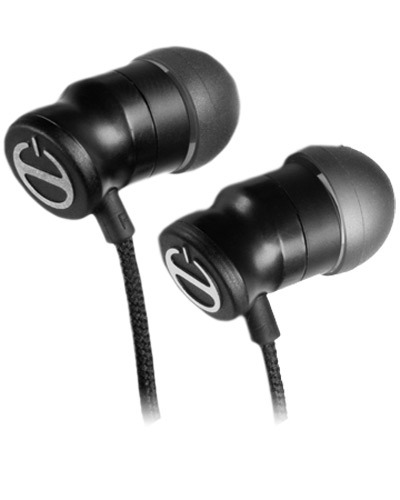 The E1’s have no edges to poke the ear, which makes them more comfortable in the long term. Both ‘phones have no trouble at all passing my basic earphone listening test i.e. they sound better than Sennheiser’s bargain MX460 ‘phones. They offer more of everything everywhere as they should considering the price differential and it should go without saying that they’re a long, long way ahead of any ‘phones found in the box with a phone or mobile player. A ninety dollar set of ‘phones may prove to be well beyond the understanding of many music lovers, most of whom will stick with whatever was supplied with their phone or audio player. So what then are we to make of ‘phones that sell for two hundred and fifty smackers. Well considering the huge expansion of the aftermarket earphone segment over the last few years, there are obviously hordes of punters out there willing to spend their hard earned moolah to get a sonic lift (or a brand-based identity) and both of these ‘phones offer exactly that – a big improvement in musical enjoyment and some style. I think there must be 2 types of E1s floating around – I’ve seen a number of very contradictory reviews. I had mine a week before sticking them on ebay, hoping some other mug would be wooed by the allegedly illustrious name of Paradigm. Although I took care to burn my earphones in over a weekend, the sound quality was simply awful. Massive dollops of muddy bass, completely swamping all other sound. No definition at all and no separation – just a wall of thumping, booming bass. I used my EQ to try an dial out the bass, but even at extremes it was still there and seemed to result in an uneven performance. Add to that the fact that they started to fall apart after 5 minutes, I couldn’t get a decent fit in the ear, the noise attenuation is non-existent, the E1s really do add up to a lot of money for very little. Given the appalling build quality, I’m guessing that my opening comment is true – there are some around that sound okay and there are others (like mine) that are just dreadful – problem is that’s not what Paradigm meant. I’m going back to my Etymotic MC5s, which although far from perfect, are fit for music you want to listen to as opposed to feel in your bones! Thanks for the feedback. I happened to have the E1 review set on hand, so I got them out and gave them a bit of an unscientific torture test. Basically, I just tried to bend or separate the housings, pull out the cables etc. and they shrugged it off. As far as the sound goes, I’ve always been Ok with some extra artificial bass weight in a set of in-ear ‘phones. It just seems to make for a better listening experience in the mobile world. My Shure e4c ‘phones are just delectable in the mid and treble but the bass leaves something to be desired when I’m listening to music from artists like Massive Attack and the like. Yep – both Paradigm ‘phones are bass heavy but I didn’t judge them to be flawed in the area. Ashley, thanks for the response. I can only assume that the Paradigm stuff we are getting here in the UK is different (some how). There’s nothing borderline with the bass on my E1s – It was, quite simply, completely overwhelming and drowned out the mid and high range.